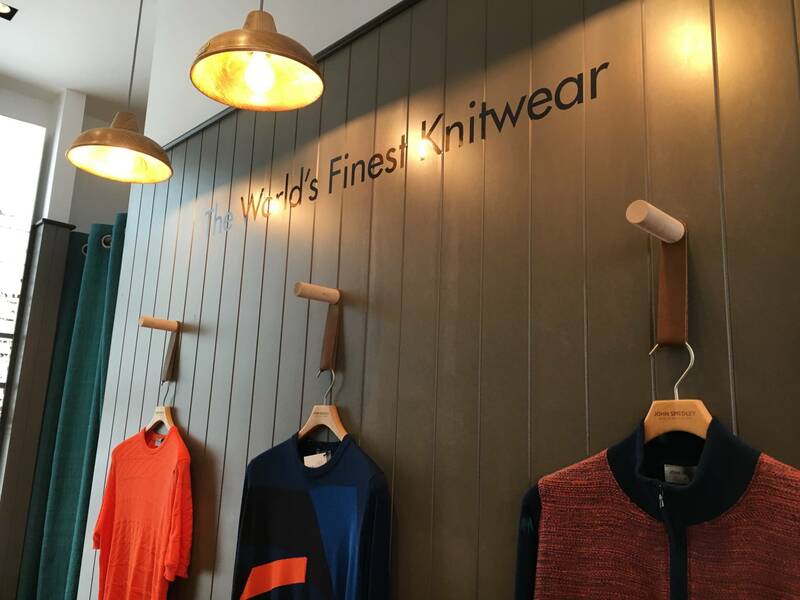 As a world-renowned knitwear brand, which operates from the world’s oldest manufacturing factory, John Smedley has always been associated with beautiful, high quality garments. 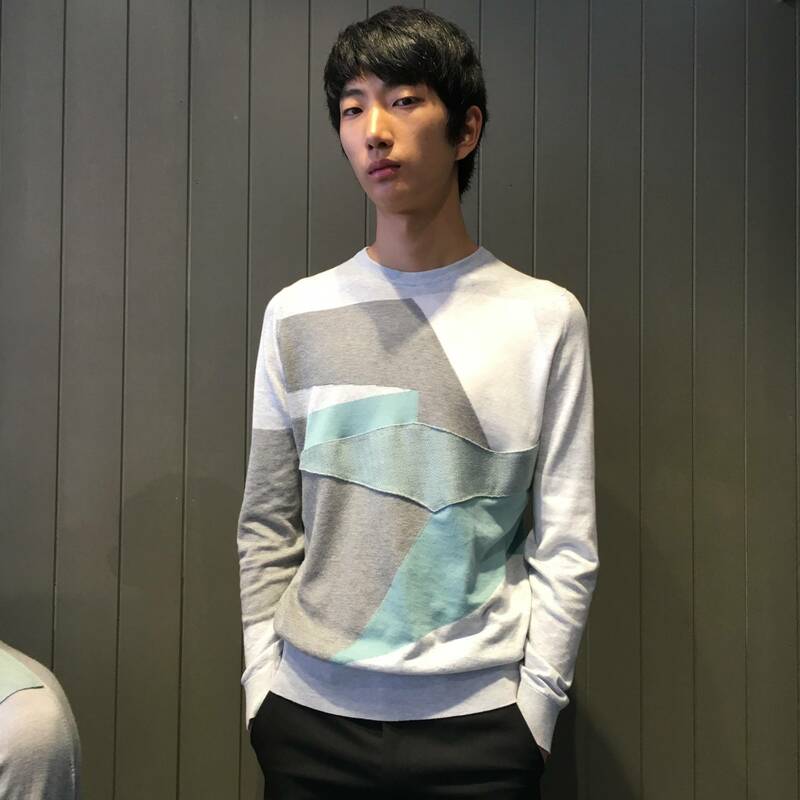 Perhaps what isn’t immediately obvious is how a knitwear collection can translate into Spring/Summer clothing but with their SS17 looks, John Smedley proves that not only is it possible, but it can be enormously successful. 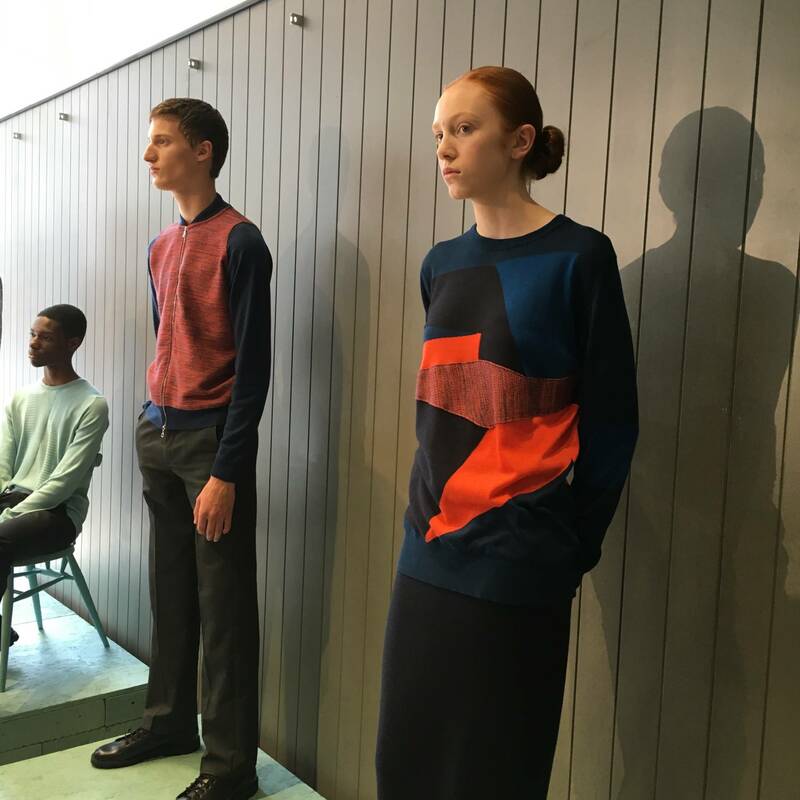 Naming their collection ‘The Architecture of Knit’, John Smedley draws inspiration from the Brutalist era of architecture, which is characterised by visible concrete construction, detailed brickwork and repeated modular elements. In line with these design features, some of the knitwear this season had block patterns with exposed edges or contrasting uniformed striping. Soft, soothing pastels provide relief against the sharp style lines but bright shades of orange and blue are also used to reflect the juxtaposition between the vibrant interior design concepts and the stark concrete exteriors of Brutalist buildings. I would say that this collection seems to be geared towards a modern, sophisticated customer, who is looking for pieces that are striking but still simple and refined.